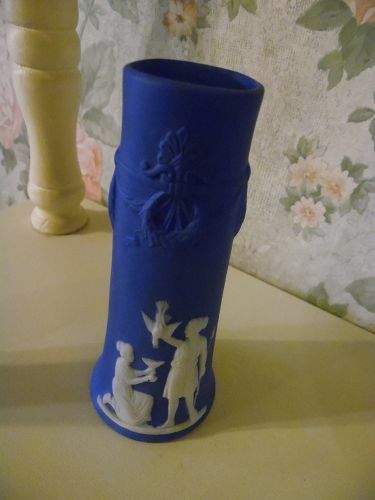 Pretty Blue and white Jasperware bud vase measures 4 3/4" tall. Perfect condition. Mold number 3125 and ink stamped Germany.Shows a woman kneeling with a chalice and a man offering a duck. Unique shape and nice to add to your collection or to give as a gift. 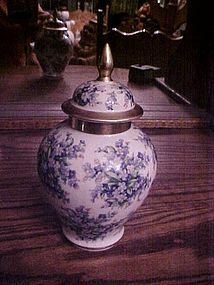 Beautiful ginger jar made by Schumann Bavaria in the forget me not pattern, This however is an all over chintz style. 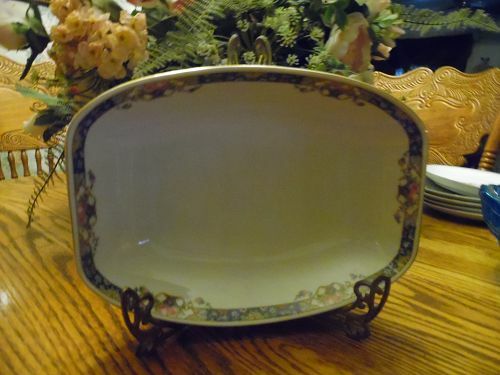 Measures 7 3/4" tall and is in fantastic condition with no chips cracks or wear. Number 58 on the bottom also. 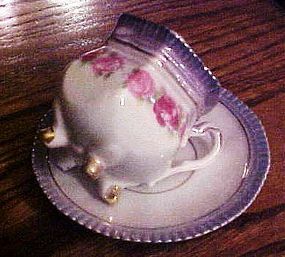 This would be so lovely to keep your tea in. 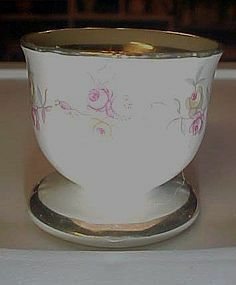 Gorgeous little demitasse size cup and saucer stamped, in gold, Made in Germany. 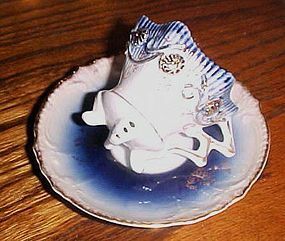 Cup stands on 4 legs and the rippled trim on the edges are a blue lustre. 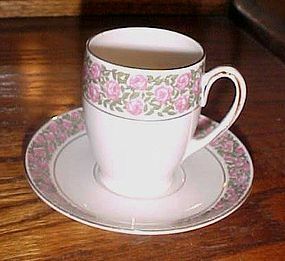 Pretty application of pink roses surround the cup. with gold trims. Both pieces are in excellent condition. 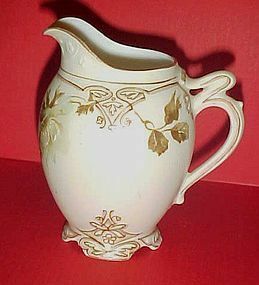 Lovely Silesia Old Ivory Clarion creamer pitcher. hand painted white roses with foliage andfrilly design work. Relief florals in the detailing. Lots of gold trim. Measures 4 1/4" at the tallest point. PERFECT condition. Lightweight and delicate. 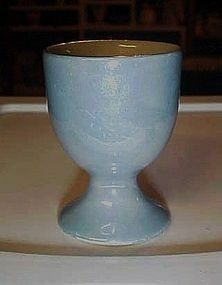 Nice old lustreware egg cup for your collection. All blue lustre outside and white on the inside. Stamped Germany Measures 2 1/2" tall. Perfect condition with NO issues. 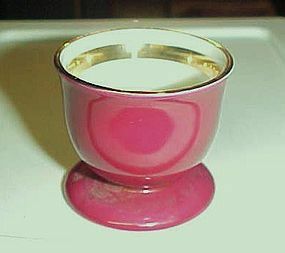 Nice Winterling Germany egg cup is a nice maroon or burgandy with gold bands inside the cup. Green wreath mark. Excellent condition with no chips or cracks. 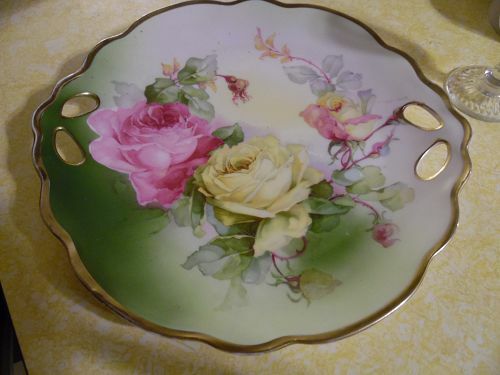 The gold trim is bright and not worn. Measures 1 3/4" tall and 1 7/8" across. 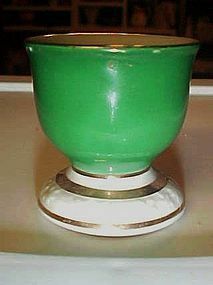 Nice Winterling Bavaria Germany egg cup is a nice green with gold bands. White area on the footing has a slight raised relif of flowers between the gold bands.Green wreath mark. Excellent condition with no chips or cracks. The gold trim is bright and not worn. 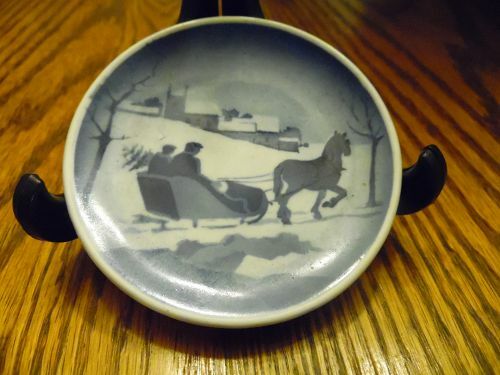 Measures 2" tall and 1 3/4" across. I have 2 available, and price is for each. 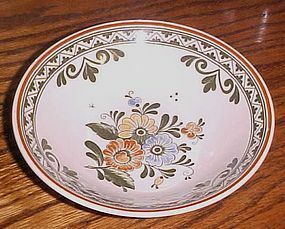 Lovely 6" coupe cereal bowl(s) in the Villeroy & Boch "Alt Amsterdam" pattern. Pattern has been discontinued. 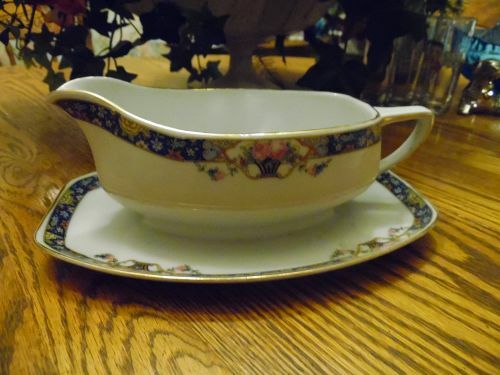 Each available bowl is in excellent, very gently used, glossy condition with no chips or cracks. Brown backstamp. I have 4 available. Price is for each. I will be listing other pieces in this pattern. Save $ on shipping. 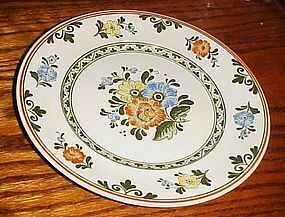 Lovely 8 1/4" SALAD PLATE in the Villeroy & Boch "Alt Amsterdam" pattern. Pattern has been discontinued. 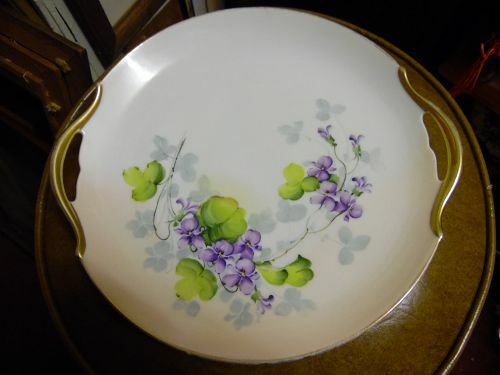 Plate is in excellent, very gently used, glossy condition with no chips or cracks. Brown backstamp. I have 1 available in this size. I will be listing other pieces in this pattern. Save $ on shipping.